As you may have heard, 2018 marks the 60th Anniversary of Camp Deer Run. It’s hard to think of very many things that have been the same since the first summer of camp. The Killi Anthem and War Hymn came years later. Outcamping was born in the 70s. Chiefy didn’t get his name until the 80s. So, what is it that makes Deer Runners of all ages so fiercely loyal to this place? After all, the campers in 1958 had a completely different experience than those in 1978, as did the campers in 1998, as will those in 2018. To answer that, I think of a few stories in the old testament. From Jacob to Moses to Joshua to Samuel, it was a common practice to build a simple altar when someone had an interaction with God. When God spoke to Jacob, he created an altar of remembrance called Bethel. When God split the Jordan for the Israelites to cross over on dry land, Joshua built 12 altars of remembrance. You see this over and over again in the old testament. When God speaks to someone, works a miracle for the Israelites, or reveals his glory in some way, people build a memorial, a marker that they can see and remember what God had done. There’s something special about the place where you first hear God’s voice, or at least hear it clearly. It’s like finally getting home after a long trip, worn out, jet-lagged, and exhausted. It’s like a song you hear on the radio that takes you back to a very specific memory. It’s like that smell that you catch a whiff of and makes you nostalgic for some strange reason. It’s all of those things. It’s hearing “Hail to Dear Old Deer Run,” it’s the smell of the pines, it’s coming home. None of this is to say that there’s something exceedingly special about the specific plot of land that Camp inhabits. It’s not that at all, nor is it the facilities, or the games, or even the songs. Beneath it all, we’re not longing to return to Camp, though it may seem that way. We’re longing for the voice of our Shepherd. We are sheep searching for our Shepherd. It is tempting to feel like He isn’t near, that we have to go back to a specific place or time to find Him. It’s easy to run to the place where we have heard His voice before, but sometimes you find that it is no longer there. There comes a time when His voice is no longer calling us to retreat to the comfort of a refuge like Deer Run, but to follow Him into a world of lost sheep. With the 2018 Hoche Retreat behind us, a class of Senior campers and several staffers are now facing this challenge. For them, and for all Deer Run alumni, it is vital to remember that our Shepherd goes with us. Where He calls you, there He will be. We have to remember that “He who calls you is faithful” 1 Thessalonians 5:24. Wherever His voice is calling you, take heart in knowing that He will go there with you. 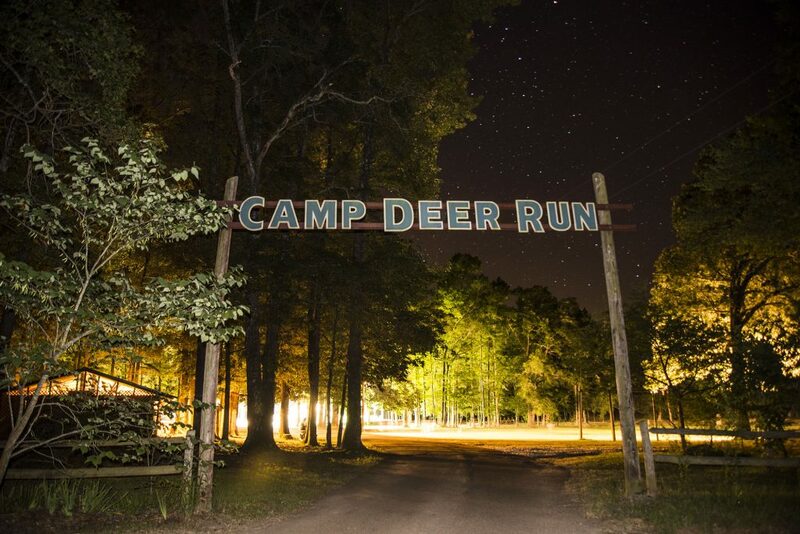 Let Camp Deer Run be your place of remembrance, where you can go and remember the place where you heard God’s voice. Come back to Camp and be filled with joy remembering the work that God did there for you. Just don’t be mistaken that His voice goes mute outside of the gates. It doesn’t. We just have to listen. And in the years to come, when your kids, grandkids, or anyone else ask you about Camp Deer Run, you can tell them all the things that God did for you there. Let it be your altar of remembrance, but don’t stop moving toward the promised land. I like your first paragraph! My son and I were having that discussion just the other day, I being a late 1960’s early ’70’s camper and he is a current timeframe camper. We were having a dispute because he thinks things were always as they are today while I was telling him we didn’t have out camping but some got to go on River rafting. Even the landscape has changed so much it is hard for me to even find the activities we participated in. The creek has relocated to the point I can’t even find where the old swing platform use to be! Beautiful thoughts and so true!